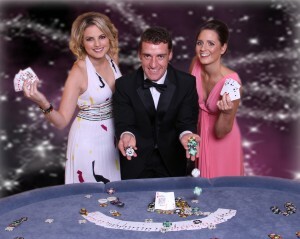 Claremorris Chamber will host the Las Vegas Ball on December 7th in the McWilliam Park Hotel. This night of glamour and glitz will include a champagne reception, 5 course meal, dancing, a fun casino with lots of prizes, and lots more surprises. The blacktie event which is being held in association with Western Care and Claremorris Christmas Lights promises to have all the thrills of Vegas. Claremorris Chamber is delighted to announce the Best of Claremorris Awards that will highlight business successes and talent by profiling and rewarding shortlisted nominees at the Chamber Las Vegas Black Tie Ball on December 7th in the McWilliam Park Hotel. Any business or individual is invited to nominate themselves or others for any of the categories on offer. The awards are free to enter and open to any business in Claremorris. Entry forms are available from Claremorris Chamber – info@claremorrischamber.ie or by contacting Sheila Hunt in the Chamber Office on 094 9377777 The closing date for nominations is 7th November 2013. Self and third party nominations are welcome for all award Categories. Judging will be conducted independently. The Western Corridor or Western Arc is the single most important initiative the Irish Government could adopt to promote balanced economic development and tap investment funding from the European Union in support of it.